È a capo del Servizio Analisi statistiche della Banca d’Italia dal giugno 2015. 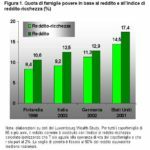 Si è occupato di analisi del mercato del lavoro, dei consumi delle famiglie e della struttura produttiva italiana, ma la sua attività di ricerca si è principalmente concentrata sulla distribuzione del reddito e della ricchezza, la disuguaglianza e la povertà, la misurazione del benessere. 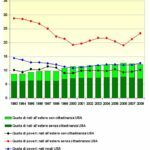 Ha fatto parte per molti anni della Commissione d’indagine sull’esclusione sociale e ha presieduto la Commissione dell’Istat per la revisione del metodo di stima della povertà assoluta. 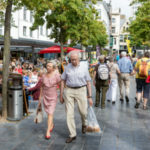 È stato membro dell’Executive Board del Luxembourg Income Study. 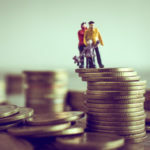 È stato presidente dell’International Association for Research in Income and Wealth (IARIW) e ha fatto parte del consiglio della Society for the Study of Economic Inequality (ECINEQ). È fellow della Human Development and Capability Association (HDCA) e policy fellow dell’Institute for the Study of Labor (IZA). È associate editor del Journal of Economic Inequality ed è membro dei comitati editoriali della Review of Income and Wealth, di Politica economica–Journal of Economic Policy e dell’Italian Economic Journal. È tra i fondatori del sito di informazione demografica www.neodemos.it. Nel 1995 ha ricevuto l’“Aldi J. M. Hagennars LIS Memorial Award”. “Multidimensional Poverty and Inequality” (con R. Aaberge). In A. B. Atkinson e F. Bourguignon (a cura di), Handbook of Income Distribution, Volume 2A, 141-216. Amsterdam: Elsevier, 2015. “Unveiling the Ethics behind Inequality Measurement: Dalton’s Contribution to Economics” (con A. B. Atkinson). Economic Journal 125(583), 2015. “I bilanci delle famiglie italiane dopo la Grande Recessione”. In C. Fusaro e A. Kreppel (a cura di), Politica in Italia. I fatti dell’anno e le interpretazioni. Edizione 2014, 247-271. Bologna: Il Mulino, 2014. “On the Identification of the Middle Class” (con A. B. Atkinson). In J. C. Gornick e M. Jäntti (a cura di), Income Inequality: Economic Disparities and the Middle Class in Affluent Countries, 77-100. Stanford: Stanford University Press, 2013. “Standards of Living” (con G. Vecchi). In G. Toniolo (a cura di), The Oxford Handbook of the Italian Economy Since Unification, 227-248. Oxford: Oxford University Press, 2013. The Great Recession and the Distribution of Household Income (a cura di, con S. P. Jenkins, J. Micklewright e B. Nolan). Oxford: Oxford University Press, 2013. “The EU-wide Earnings Distribution” (con A. Rosolia e R. Torrini). In J. A. Bishop e R. Salas (a cura di), Research on Economic Inequality, Volume 20 – Inequality, Mobility and Segregation: Essays in Honor of Jacques Silber, 205-235. Bingley: Emerald Group Publishing Limited, 2012. “Political Economy and the Mechanics of Politics”. Politics & Society 38(2), 2010, 212-226. “Asset-Based Measurement of Poverty” (con S. Magri e T. M. Smeeding). Journal of Policy Analysis and Management 29(2), 2010, 267-284. “On Analyzing the World Distribution of Income” (con A. B. Atkinson). World Bank Economic Review 24(1), 2010, 1-37. “On Applying Synthetic Indices of Multidimensional Well-Being: Health and Income Inequalities in France, Germany, Italy, and the United Kingdom”. In R. Gotoh e P. Dumouchel (a cura di), Against Injustice. The New Economics of Amartya Sen: 221-251. Cambridge: Cambridge University Press, 2009. “Income Inequality in Richer and OECD Countries” (con T. M. Smeeding). In W. Salverda, B. Nolan e T. M. Smeeding (a cura di), The Oxford Handbook of Economic Inequality, 71-100. Oxford: Oxford University Press, 2009. Dimensioni della disuguaglianza in Italia: povertà, salute, abitazione (a cura di, con C. Saraceno e A. Schizzerotto). Bologna: Il Mulino, 2009. “Measurement of Income Distribution in Supranational Entities: The Case of the European Union”. In S. P. Jenkins e J. Micklewright (a cura di), Inequality and Poverty Re-examined, 62-83. Oxford: Oxford University Press, 2007. Povertà e benessere. Una geografia delle disuguaglianze in Italia (a cura di, con C. Saraceno). Bologna: Il Mulino, 2007. “Household Wealth Distribution in Italy in the 1990s” (con L. Cannari, G. D’Alessio e I. Faiella). In E. N. Wolff (a cura di), International Perspectives on Household Wealth, 225-275. Cheltenham, UK and Brookfield, US: Edward Elgar, 2006. “The Luxembourg Wealth Study – A Cross-Country Comparable Database for Household Wealth Research” (con E. Sierminska e T. M. Smeeding). Journal of Economic Inequality 4(3), 2006, 375-383. “Does the ILO Definition Capture All Unemployment?” (con P. Cipollone e E. Viviano). Journal of the European Economic Association 4(1), 2006, 153-179. 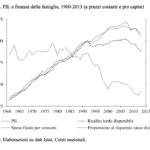 “The Age of Discontent: Italian Households at the Beginning of the Decade” (con T. Boeri). Giornale degli Economisti e Annali di Economia 63(3/4), 2004, 449-487. “Promise and Pitfalls in the Use of ‘Secondary’ Data-Sets: Income Inequality in OECD Countries as a Case Study” (con A. B. Atkinson). Journal of Economic Literature 39(3), 2001, 771-799. Come si può tener conto del patrimonio nel valutare la condizione di povertà?